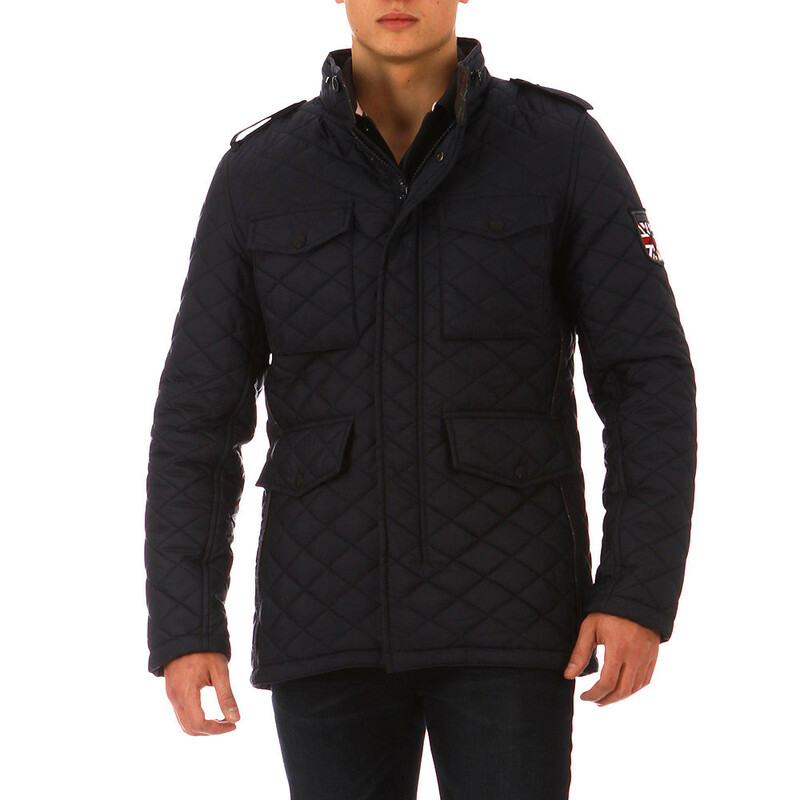 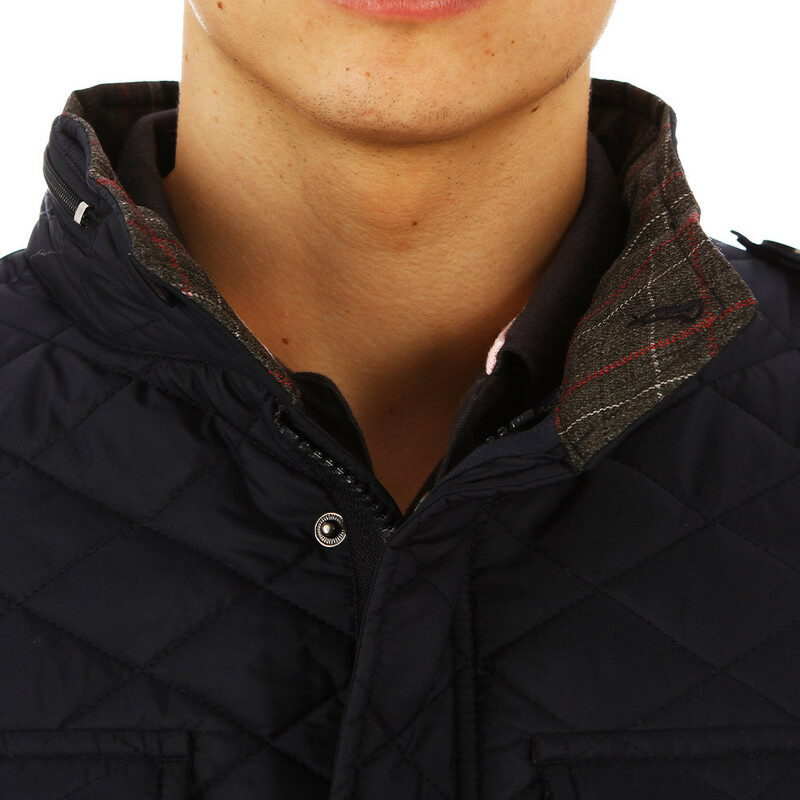 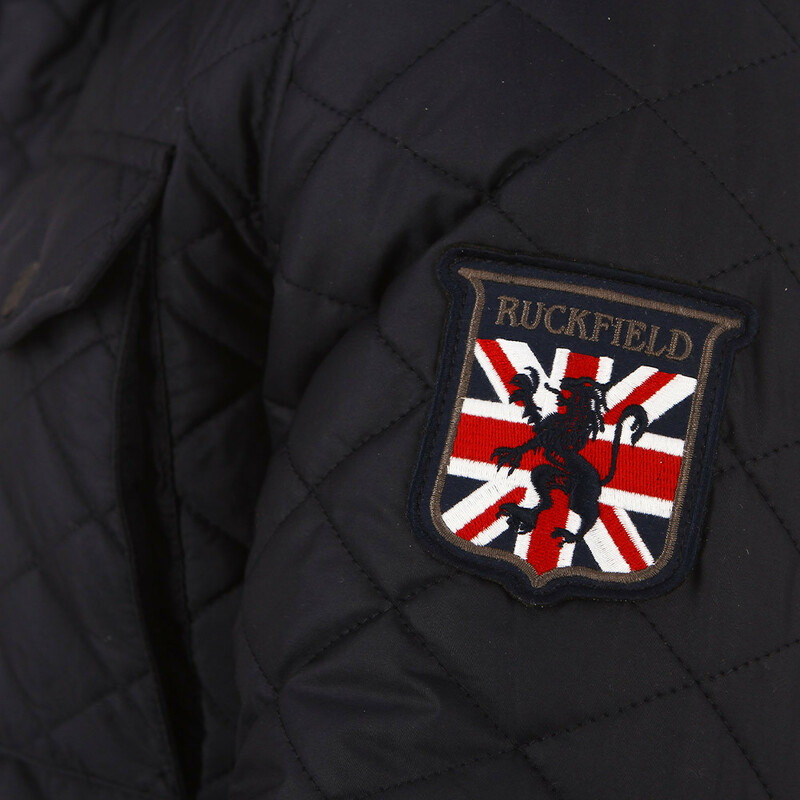 This quilted navy jacket has very discreet detailing: check-finish stitching, badge with the English flag on the arm. 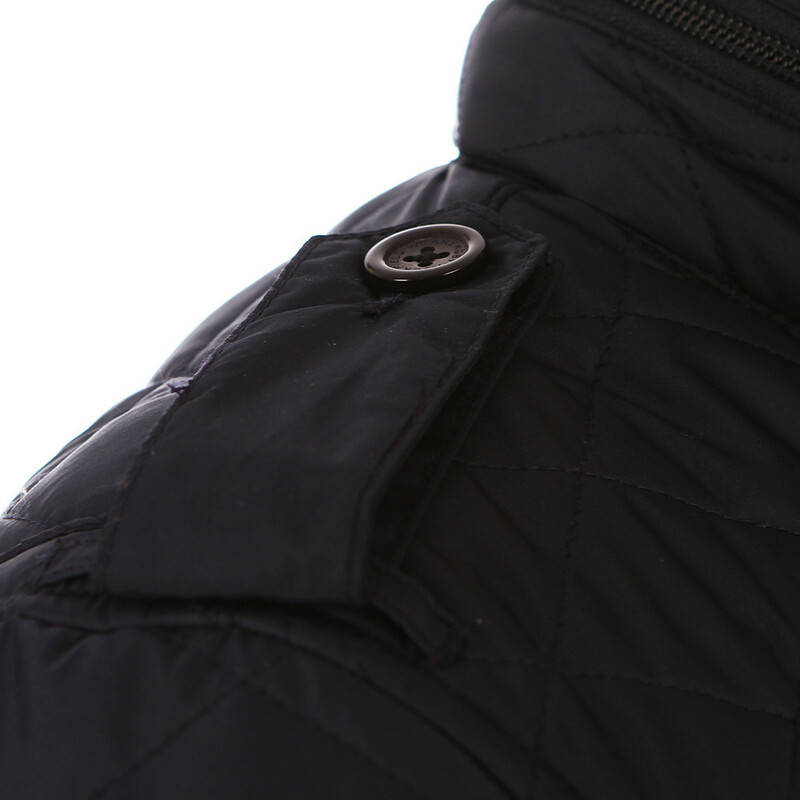 Ideal for a chic casual outfit. 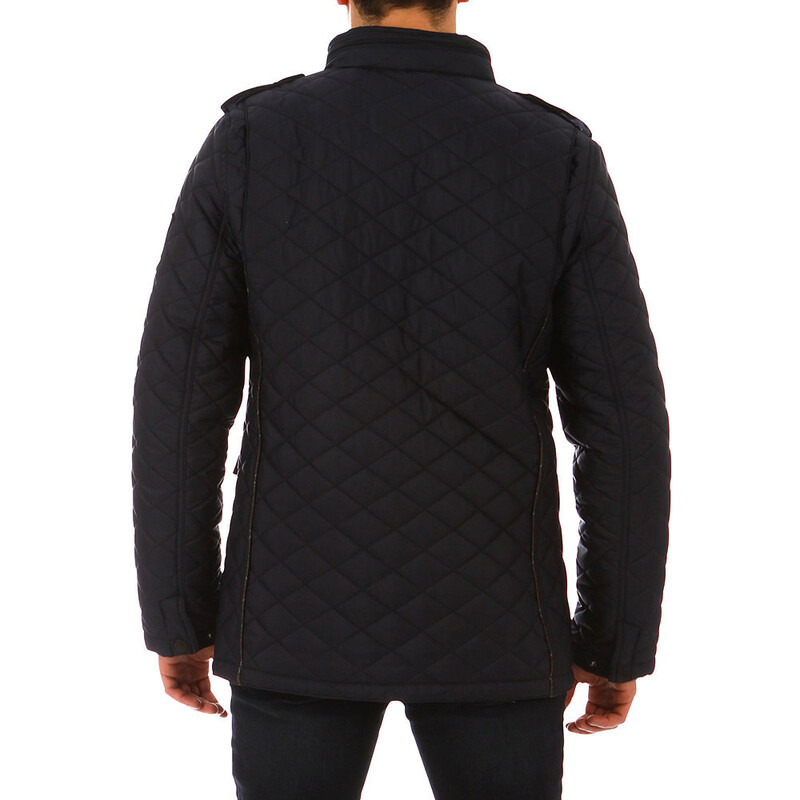 Available in sizes 48 to 58.